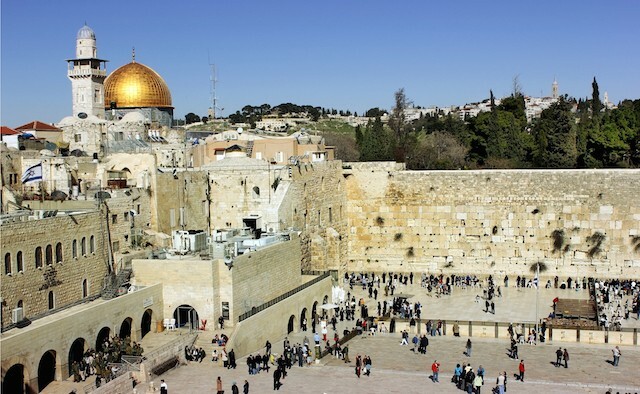 There are more than 10,000 people with Parkinson’s in greater Jerusalem. They need support, information and rehabilitation to optimise their health. The main difficulties that people with Parkinson’s and their families in my country face, is a lack of information. This includes accurate information on Parkinson’s in Hebrew. Many people with Parkinson’s know nothing about it. Many people don’t have internet access, and many don’t read English. Our organisation is called Tikvah for Parkinson. ‘Tikvah’ means ‘hope’ in Hebrew. 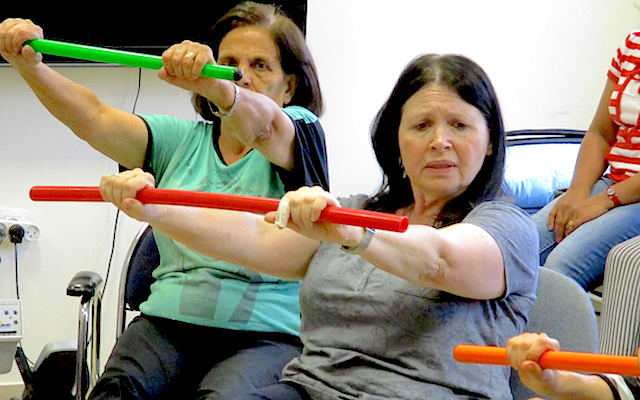 We provide regular articles for the local newspapers to help raise awareness of Parkinson’s in Jerusalem. After the World Parkinson Congress 2016, I wanted to do something more. I spoke with community medical activists, who told me that the stigma of Parkinson’s causes many people to simply stay at home. But, as people with Parkinson’s know, without physical exercise, the body quickly becomes frozen, and the disease progresses much more rapidly. I decided to create an evening for the community and invited several prominent speakers, including Professor Nir Giladi, the head of Neurology at Ichalov Hospital in Tel Aviv, Israel. We assumed that 30 to 40 people would come. In the end, we put out 260 chairs and people were standing in the back. It was awesome. People left with tears in their eyes, so grateful to see that they are not alone. Since that event, we’ve added four information evenings, a support group for carers and a full-day workshop for families, training them to do physical exercise with their person with Parkinson’s. Tikvah for Parkinson is a small group. We employ two paid therapists, seven volunteer therapists and a secretary. We also have a young volunteer working with us. Our biggest success has been our rehabilitation programme. We run this in cooperation with Yad Sarah – a wonderful health organisation, and the largest national volunteer group in Israel. We pay for use of their rooms, administrative services and eight therapists. In the space of just a few months, we started weekly four-hour exercise sessions for men and women and expanded the programme to twice a week for six different groups. Our 40 participants have access to a full gym. The programme includes physical and speech therapy, occupational and art therapy, boxing, Tai Chi and Nordic walking. We also have a choir. We hope that, in the near future, we can offer more walking groups and yoga – and our ambition is to take our choir to Broadway! Later this year we are expanding the programme to offer women’s boxing, movement and dance, men’s singing and monthly lectures. There is also a misconception I want to shatter in my country – people with Parkinson’s are not miskeinim (pitiful creatures). We are not nebuch (terrible). We are people faced with a challenge and doing our utmost to stay as healthy as possible for as long as possible. Tikvah for Parkinson is here to help us accomplish that. 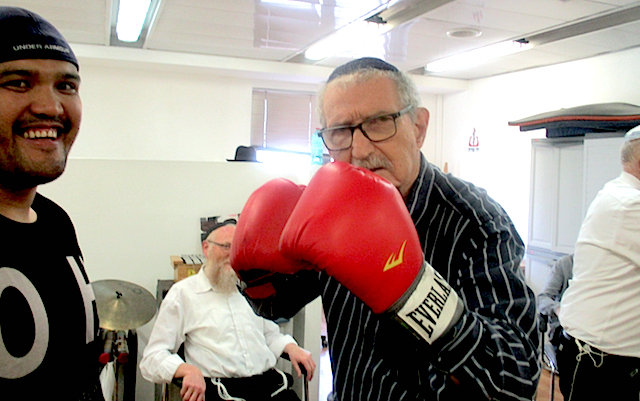 There was almost nothing available for people with Parkinson’s in Jerusalem. Today, the hospitals send their patients to us. I cannot tell you how appreciative people are. We are just starting, but we have had some support from some of the pharmaceutical companies. Abbvie has pledged a grant and Neuroderm helped sponsor our first lecture. Although, it does seem easier to raise public awareness than to raise funds – we are working on it. After two years our organisation can apply for government assistance. Until then we rely on donations, grants and our members’ participation fees. I hope that the government will eventually recognise rehab as crucial for controlling Parkinson’s, and fund it in the same way they fund medicines. I think our organisation is helping to change the way people view Parkinson’s disease. Through our existence, we’ve broken through the barrier of stigma and silence surrounding Parkinson’s. We’ve created a network of friendships, which has translated into support.